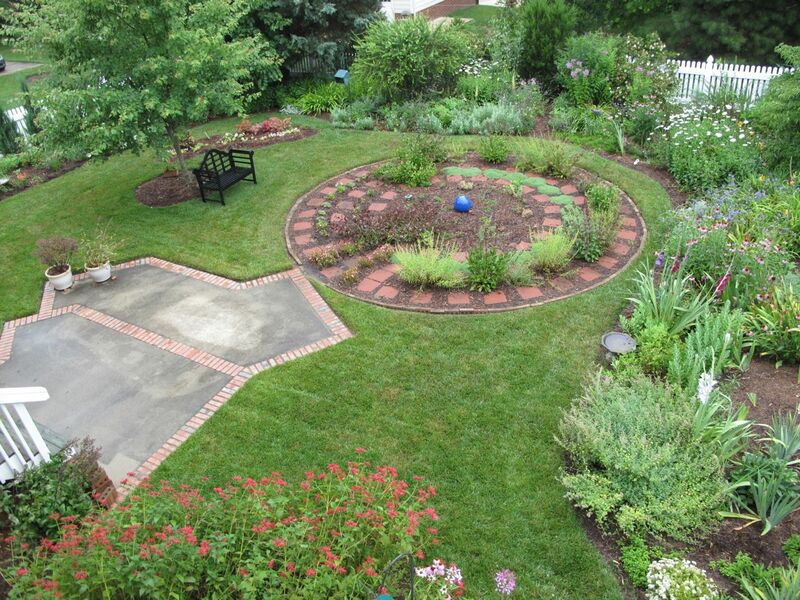 A serene feature of this garden is a twenty-foot diameter meditation garden. 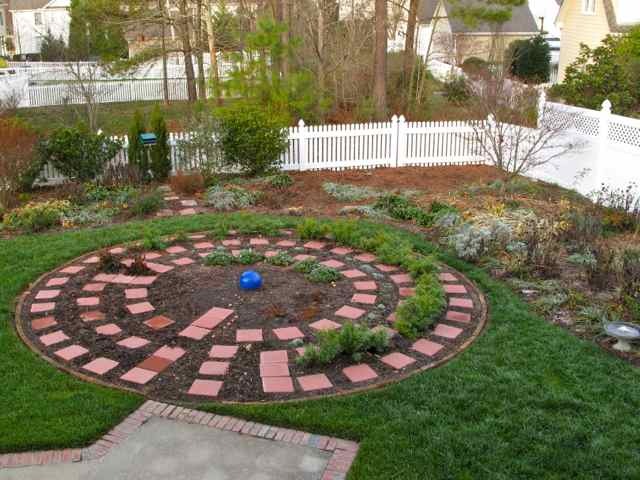 Completed April 17, 2011, the meditation circle contains a labyrinth for walking meditations. 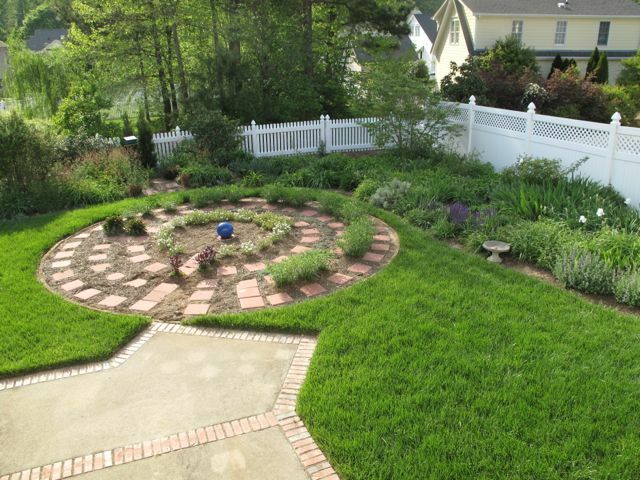 A mix of evergreen perennials and annuals are used to form walls between the paths and the plantings continue to evolve. I wrote a reflection of the meditation garden in October 2011. Here are some scenes of the meditation garden during its first year. Thanks Carol. Yes it is a special place of respite. A beautiful, calming space, what a lovely concept. Thanks. I can’t imagine my garden without it now-it brings such peace. I can imagine, it looks like a real haven. what a wonderful idea and beautiful place you meditation garden is. Claire, thank you so much. 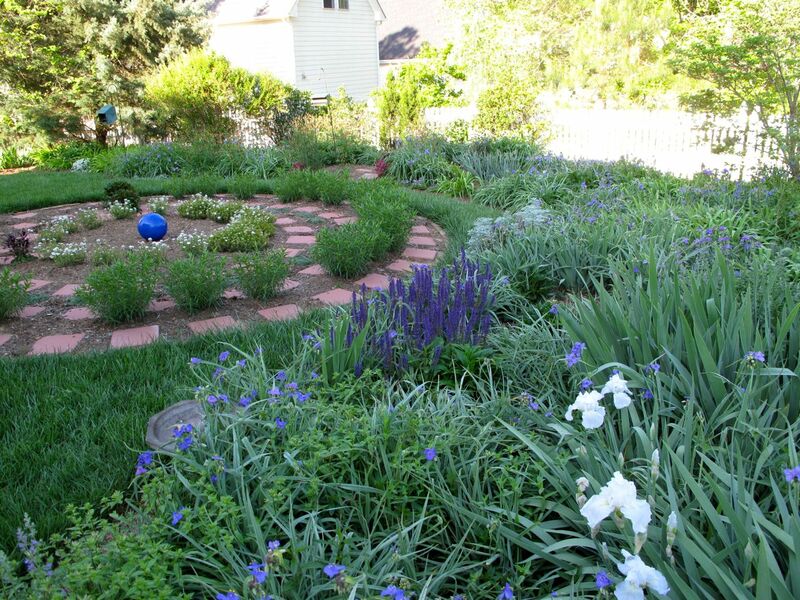 I find it peaceful for walking meditations and like the way it accentuates the garden. I love this idea! You’ve given me fresh inspiration for replacing an area of lawn (which we have no business having in our drought-parched area of Silicon Valley.) This is beautiful. I’ve studied mediation and yoga, want to mediate daily (and don’t). 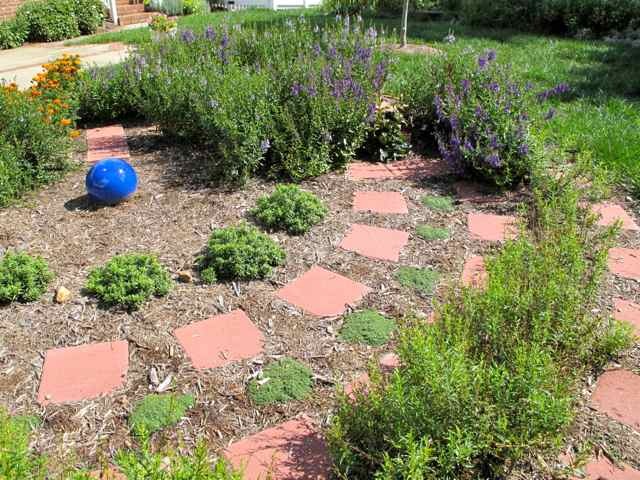 There is something about this walking mediation garden that really speaks to me. Glad you like the meditation circle. I don’t meditate every day either but being in the garden puts me halfway there. Thanks so much for visiting today. Isn’t that the truth. It’s hard to be stressed out in a garden. I have just found your blog via Cathy at Herbs and Words. 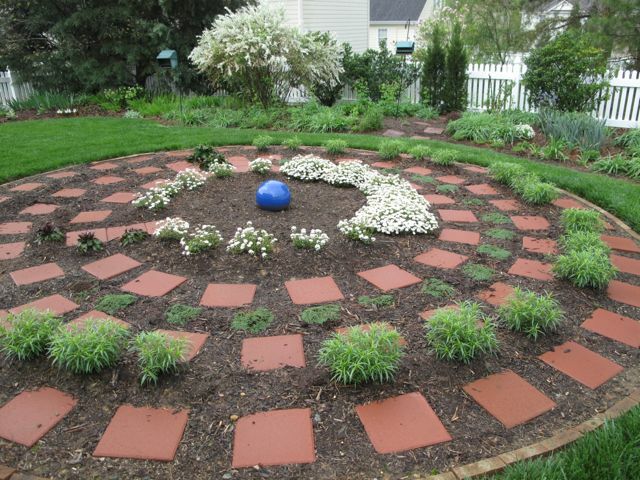 Circles are such a good garden design feature, a meditation circle is wonderful, gardens can be such calming relaxing place. We have an Oriental Garden in Our Garden@19 which is very calming to sit in. Thanks Jennifer, I will contact you. I stumbled across your blog while searching for Perennial Dusty Miller. I love the meditation circle – what a wonderful idea. Could you recommend a source for the dusty miller? I haven’t been able to find it online. I used to have some that was passed along from my grandmothers garden but alas it has not come back. Glad you like the meditation circle. It brings great pleasure. My perennial Dusty Miller is a pass-along also, from a dear relative many years ago. Have never seen it sold anywhere. Are you local to Chapel Hill? Perhaps I can get you a piece. Thanks for the response. How wonderful! I’d love a piece of the dusty miller. That’s so kind! I live in Greensboro which is about an hour away. Maybe this fall?